In the past few months, we have covered plenty of smart pet toys and feeders for dogs and cats. Furbo is another smart device that lets you give your pet a treat from anywhere. 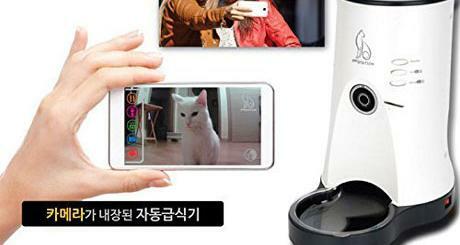 It has a camera with night vision, so you can see, hear, and talk to your dog when you are away. Furbo supports HD streaming. The camera comes with 4x zoom functionality. Users get an alert when their dog is barking. Furbo dog cams are expected to ship in July.